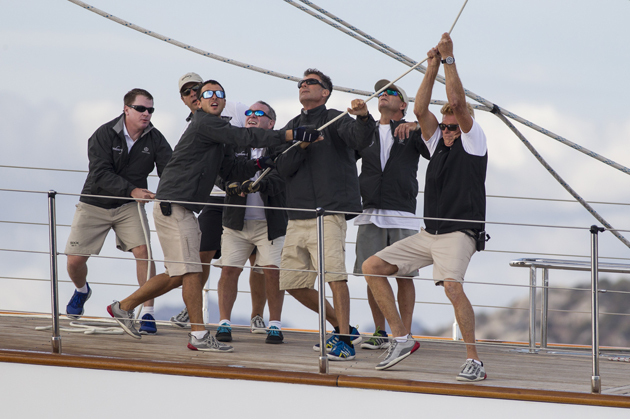 The 2015 Perini Navi Cup ended on a highnote this weekend with Rosehearty taking the overall prize. The 56-metre Rosehearty, which launched in 2006, was rewarded for consistent performances throughout the three days of racing with the overall prize. “Rosehearty is 182-foot long but you’re still sailing and feeling the elements of mother nature. 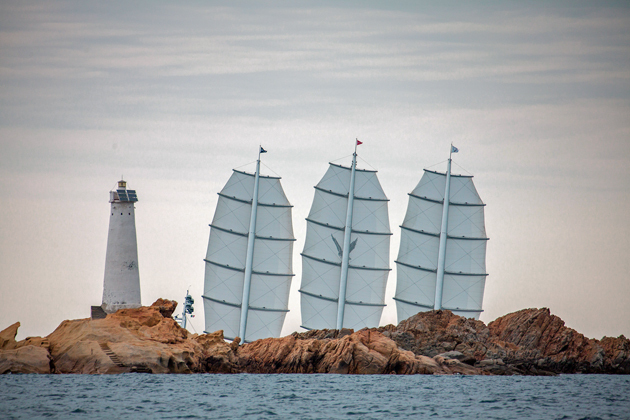 The Perini family are lovely people and their personality is embedded in the boats,” says her tactician Paul Cayard. Clan VIII was placed second each day and claimed second overall, while the 60-metre Seahawk fought through the ranks with stronger winds on the final day of racing to claim third overall. On their return to the docks after the second day of racing owners and their guests took part in the Marchesi Antinori Cocktail Contest on board the yachts, while crews prepared for a cocktail party hosted at Bar Aqua, overlooking the Marina. The gala presentation of the awards after the third day took place at Piazza Azzurra followed by a closing gala dinner at the Yacht Club Costa Smeralda clubhouse.